Antifreeze is a fluid that prevents engine from overheating, which flows to absorb the heat generated during combustion. 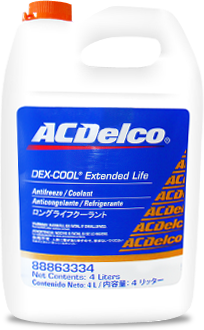 Antifreeze transfers heat from the engine to the radiator, where it is cooled by outside air before returning to the motor. In addition, protects the motor from a possible freezing, boiling or foaming and corrosion. We have a wide variety of products, both as original equipment ACDelco, which are backed by our brand.